Israel On Firm Moral Ground: Last night, the Jewish Federation of New Mexico - in conjunction with Yad b'Yad and Christians United For Israel (CUFI) - presented a talk by Professor Amos Guiora, an internationally renowned legal expert on the challenge of balancing national security interests with civil liberties. Professor Guiora's sub-topic was BDS - the movement to use Boycotts, Divestiture, and Sanctions to - what exactly is the goal? JFNM Executive Director Sam Sokolove explained BDS - and elaborated on Professor Guira's unique qualifications - in his introduction, which he has graciously allowed Abq Jew to publish here. The campaign known as Boycott, Divestment, and Sanctions, or BDS, is a global movement pushing for sanctions against Israel - supposedly for its violations of international law and human rights. What we’ve seen over the past decade, however, is that BDS is not about bringing peace to the region. Instead, its goal is to delegitimize Israel and ultimately to bring about the end of Israel as a Jewish State. The BDS movement's demonization of Israel does not recognize the reality of how conditions came to exist, the role of the Arab nations in perpetuating the conditions, or the constant barrage of missiles and violence against the civilian population of Israel. To the deligitimization activists, Zionism – the movement for the return of the Jewish people to their homeland and the resumption of Jewish sovereignty in the Land of Israel – is the quote-unquote “original sin,” the crux of the conflict. Looking back in history, we should note that in 1945, the Arab League initiated a boycott of Jewish Palestinian businesses. A year later, it was extended to prohibit contact with "anything Jewish." Closer to home, its influence within the mainline protestant churches can be seen gaining traction, with Methodist and Presbyterian leadership entertaining BDS resolutions at their annual policymaking conferences. This calls for the removal of an existing state (unique in international politics), based on alleged human rights abuses and military invasions that are never considered for other nations. BDS prohibits attempts at dialogue, cooperation, and peaceful ties between Israel and Palestinian Arabs, and promotes an impossible one-state solution; Thus, BDS is not about borders or Israel’s size; it is about her very existence. In Albuquerque, BDS is an omnipresent part of the so-called “peace and justice” community, and home to the groups that sponsor anti-Israel billboards throughout the region. This leaves activists like us angry, and anxious to defend Israel with action. But the complexities require thoughtfulness and greater understanding, and that’s why we have with us today an extraordinary friend, Amos Guiora Professor of Law at the S.J. Quinney College of Law, the University of Utah. Before I introduce Amos, I’d like to make a few acknowledgements. Firstly, I want to thank Jennie Negin and Harold Folley, whose generosity made Amos’s visit to New Mexico possible. Jennie and Harold are dedicated community activists, leaders and philanthropists who have enriched so many community institutions. Next, I want to thank Yad B’ Yad, Christians United for Israel, and Son Broadcasting for helping spread the word to Jews and Christians about tonight’s gathering. The advocacy and friendship of these groups is a blessing to the Jewish community. Back to the introduction: Amos Guiora is a Member of the American Bar Association's Law and National Security Advisory Committee, a Research Associate at the University of Oxford, Oxford Institute for Ethics, Law and Armed Conflict; a Research Fellow at the International Institute on Counter-Terrorism, The Interdisciplinary Center, Herzylia, Israel; a Corresponding Member, The Netherlands School of Human Rights Research, University of Utrecht School of Law and was awarded a Senior Specialist Fulbright Fellowship for The Netherlands in 2008. 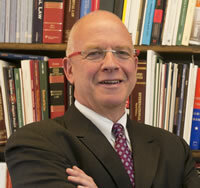 Professor Guiora has received grants from both the Stuart Family Foundation and the Earhart Foundation. He served for 19 years in the Israel Defense Forces as Lieutenant Colonel (Retired), and held a number of senior command positions, including Commander of the IDF School of Military Law and Legal Advisor to the Gaza Strip. Professor Guiora was awarded the S.J. Quinney College of Law Faculty Scholarship Award, 2011. Please welcome back to New Mexico: Amos Guiora. Add these to Professor Guiora's qualifications: He is the only son of Holocaust survivors, and he is the father of Israeli children - one of whom has completed his initial service in Tzahal. More about him later. BDS is "under the radar" of US & Israeli governments. BDS is an intelligent, many-pronged campaign to delegitimize Israel. as ruler and ruled; as Israeli grab of Palestinian land. BDS is a long-term strategy to isolate Israel and Israelis. BDS is a violation of the UN Charter, international law, and free trade agreements. 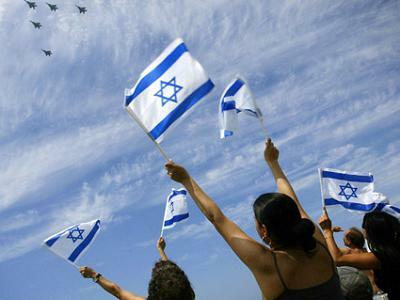 The US Jewish community is not as unified on Israel as it once was. BDS knows this and exploits this. The anti-BDS forces don't have the slick marketing literature that BDS has. Jewish students on campus - a primary BDS target - do not have the knowledge or rhetorical training to counteract BDS activists. As for that last point - Professor Guiora mentioned the work of The David Project in Boston. You can learn more about The David Project here. 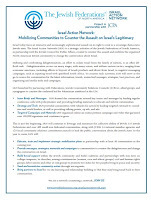 Sam Sokolove mentioned the anti-BDS work of the Israel Action Network (IAN), a strategic initiative of the Jewish Federations of North America, in partnership with the Jewish Council for Public Affairs to counter the assault on Israel’s legitimacy. The IAN has published a number of FAQs and information sheets, including this One Sheet about IAN activities. 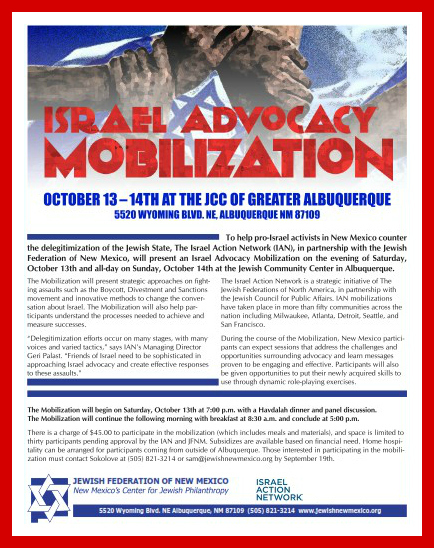 And the IAN is also sponsoring the upcoming Israel Advocacy Mobilization in Albuquerque. The Mobilization will present strategic approaches on fighting assaults such as the Boycott, Divestment and Sanctions movement and innovative methods to change the conversation about Israel. The Mobilization will also help participants understand the processes needed to achieve and measure successes. The Mobilization faculty will include IAN staff experts with extensive experience organizing and leading human rights campaigns, monitoring campus affairs and engaging multigenerational activists. Space is limited to 30 participants. To register, contact JFNM Executive Director Sam Sokolove (505) 821-3214 or sam@jewishnewmexico.org before Rosh HaShanah. But back to Professor Guiora's son, who (as Abq Jew mentioned above) recently completed his initial service n the Israel Defense Forces. That he serve under a commander who knows how to command and lead. That he serve with a group of fellow soldiers who form a true Band of Brothers. That during his service he become capable of taking care of himself. That during his service he never lose his moral compass. Professor Guiora condensed these four points into a hand sign - four fingers - that he and his son shared. In his talk, Professor Guiora emphasized that Israel faces a daily moral struggle - to balance human rights and national security - and that Israel typically chooses human rights over national security even when it hurts Israel or puts the lives of Israeli soldiers in jeopardy. And he mentioned that his son flashed him their four-fingers / four wishes sign as he boarded the bus on his way to Tzahal. As with the Guiora family, so with all of Israel. Tzahal's moral compass still points to Israel as the Light Unto The Nations. May it ever be so!